An interview with Alessandro Profumo, CEO, Leonardo S.p.A.
Alessandro Profumo is the chief executive officer of Leonardo S.p.A., a role he has held since May 16, 2017. He has also been the honorary chairman of AIAD (the Italian Industries Federation for Aerospace, Defense and Security) since July 2017 and chairman of the Fondazione Ricerca & Imprenditorialità since February 2018. Born in Genoa, Italy on February 17, 1957, Profumo holds a degree in business economics from Bocconi University. In 1977, he began his career in banking, in which he worked for 10 years, before joining the consulting sector at McKinsey & Company in 1987. In 1994 he joined Credito Italiano, starting out as the deputy general manager, and in 1997 he was appointed chief executive officer and led the transformation of Credito Italiano into UniCredit Group. Under his leadership, UniCredit Group became a leading European banking player, growing from 15,000 to over 162,000 employees, with branches in 23 countries. Leonardo is active in many business areas, from helicopters, aircraft and space to electronics, defense and security systems. What do you see as the main market trends that will most affect your diverse business? Three global megatrends will sustain the development of the aerospace, defense and security (AD&S) sector over the next few years: security and geopolitics, with growing geopolitical instability in different parts of the world, such as Asia, the Middle East, North Africa and Sub-Saharan Africa; the globalization of the world economy; and the advent of new technologies. These dynamics will cause the majority of countries to increase their investment in the AD&S sector, budgeting additional resources for the period 2021–2027. Global defense budgets are also steadily growing, and will be over $2,100 billion in 2027, a 31.4 percent increase compared to 2008. In Europe, we foresee opportunities not only due to the European Defence Fund (EDF), but also thanks to spending increases in many NATO countries, which are investing to hit the stated target of budgeting 2 percent of GDP for defense by 2024. We also expect to see the US market growing, as well as the Middle East and Asia. In the aeronautic sector, we see sound growth in civil markets as well, with a positive trend for both turboprop aircraft and outsourced aero-structures. Among disruptive technologies, such as AI, robotics, the IoT and autonomous flight, which may influence Leonardo the most? 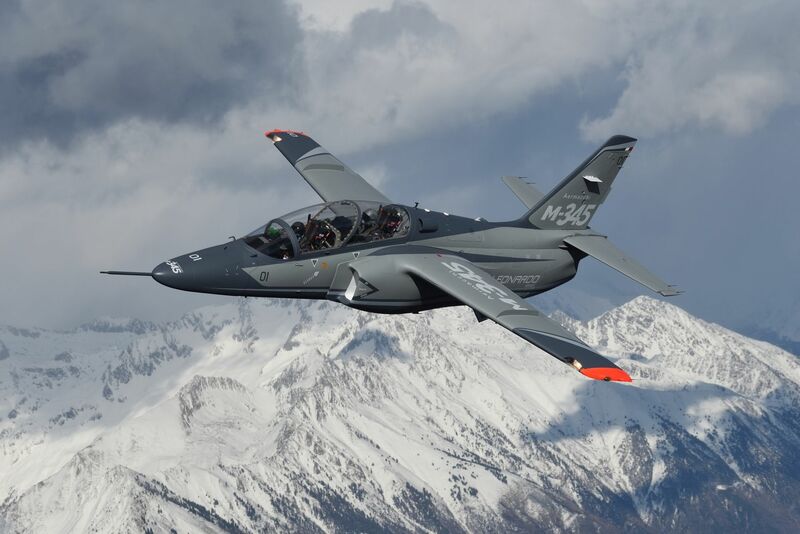 Leonardo is a company built on the latest technology and is deeply, but not exclusively, rooted in Italy’s industrial fabric. We know how to combine our skills with intensely innovative technologies, enhanced through a balance between research that is open, self-financed, and financed by third parties. In 2018, Leonardo employed 9,000 people in R&D activity, such as our engineering and CTO divisions, equal to about 20 percent of all staff. Our high rate of technological innovation and strong R&D expenditure mean we hold a wide patent portfolio. In 2017 Leonardo spent EUR 1.5 billion on R&D activities, 13.4 percent of group revenues. We are at the leading edge of the latest disruptive technologies for dual use: civil and military applications. For example, don’t forget that unmanned vehicles have been employed for more than 20 years. Applications began in the military, with the unmanned revolution spreading to the civilian world. Now all robotics technologies flow both ways. We deal constantly with Big Data for civil, dual and defense applications. You have not mentioned cyber, but cyber is again a technological area in which we are fully active and committed, for both security and defense applications. Even the IoT has civil, government and defense applications – there is an Internet of Battlefield Things, for instance. And there is much more, from advanced, even exotic, materials to new-generation microelectronics. Since we are involved in different business sectors, we must master a broad range of technologies and leverage them across multiple domains. As a matter of fact, the latest disruptive technologies will also enable different business models and new ways and methods of creating Leonardo’s products. How is the competitive environment changing? Which are, in your opinion, the sectors in which new entrants are threatening the status quo? New players are indeed entering the market, but this is not due to any lowering of technology barriers. The very basic entry barrier may actually remain stable, therefore allowing newcomers to join. They are usually strongly supported by local government investments and programs, at least in the defense domain. Meanwhile, the technological edge is constantly moving higher. This is the key to remaining competitive: continue to invest to renew know-how and competencies in order to cope with new requirements, which demand innovative technologies that most newcomers cannot provide. At the same time, these new solutions need to remain reasonably affordable; otherwise, a relevant part of the market will be lost. All of this means new markets are opening up due to technological advances and the latest customer needs, while mature markets can be abandoned as they shrink or stop being attractive. Just to mention one example, the “privatization” of space is an ongoing revolution. The unmanned aerial vehicle (UAV) revolution is considered the “next big thing” in the aerospace industry. What is the Leonardo view on the market? What are the key issues to solve? and more capable, expensive and complex air vehicles enter the market. These systems will provide both new capabilities and a cheaper and more effective replacement for traditional solutions. There are, nevertheless, barriers in terms of technology, certification, safety, security and air-space management. We cannot believe that an unmanned aircraft would be allowed to fly directly over our heads, accepting lower safety and security standards than for manned ones. The opposite is true. Safety requirements are being constantly increased, and this demands new technologies and solutions, which bring additional complexity and, to some extent, weight and costs. The path is clear, but it will take time, starting with lighter vehicles and specific roles and missions, before moving on to heavier air vehicles, and ultimately travel and transportation. You will probably first see a single pilot in the cockpit, then unmanned cargo, and only then, unmanned passenger vehicles. The space sector is increasing in importance, as these technologies are integrating more and more with terrestrial applications. Do you see upside market opportunities in this area? Are you going to expand the space division’s importance and programs? In 2022 the expected total value of the space sector, including manufacturing and services, will be approximately EUR 114 billion, with a CAGR of 4.3 percent. Leonardo intends to strengthen its services with Telespazio by exploiting the potential of the “Space Alliance” in multiple ways. We will look at consolidation in some specific geographies and vertical markets in the sector of satellite telecommunications and geo-information, expand its role as a supplier of ground segment and systems operations, increase involvement in space economy projects, and adopt new business models – also by exploiting key innovations such as Big Data, data analytics and LTE. The European space strategy is laying the groundwork for solid future growth in European space activity. The European industry has been called upon to contribute to the definition of the strategy, becoming recognized as an important stakeholder. We expect this to continue in the delivery phase of the strategy itself. We are also primed to take advantage of new business models that are emerging in private spaceflight, an industry called “new space”. The protection of space assets, from satellites to orbital space stations, is also a priority issue, one to which we as an industry can make a very important contribution. Leonardo, as an international group, has a leading role in the European Commission’s Galileo and Copernicus space programs. 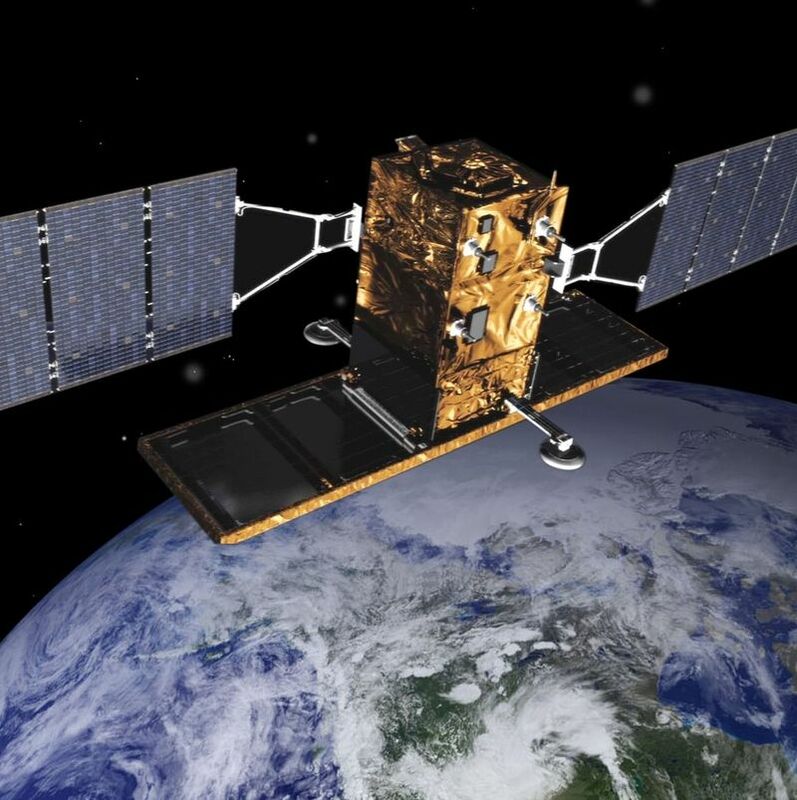 Through Spaceopal, a joint venture between Telespazio and the German Space Agency, Leonardo is responsible for managing the entire Galileo system and its performance, including providing some of the constellation’s cutting-edge technologies. What do you think is the best strategy to drive additional growth for Leonardo? We are entering a new phase in which our core markets are going to grow at about 6 percent, and we have a number of quality products that are highly valued by customers, which positions us well in light of key trends. Our enhanced business approach will increase Leonardo’s penetration in key markets to boost international business development. We also need to continue to rationalize and strengthen the portfolio, reshaping the focus on core products and technologies, and reinforce ourselves through partnership or M&A activities. 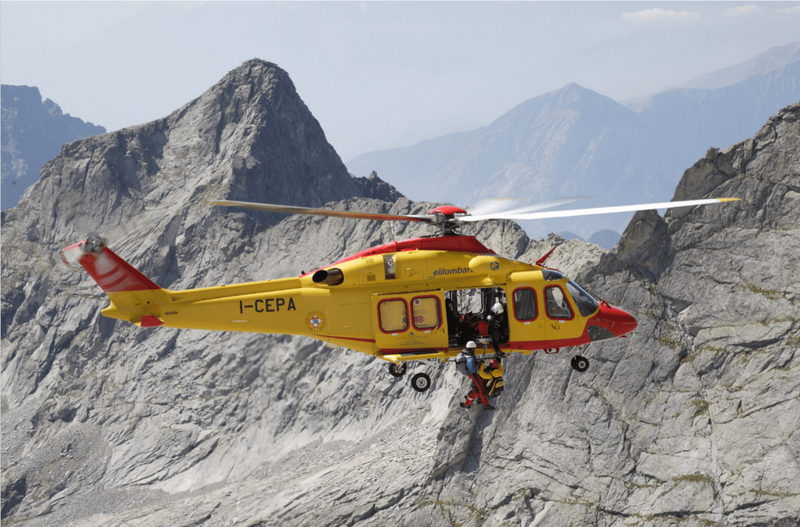 All three key Leonardo businesses – helicopters, aircraft and electronics for defense and security – will contribute to our growth, including, of course, our customer support and service offerings. At the same time, Leonardo 2.0, the full deployment of our “One Company” model, will continue the essential redevelopment of the organization to leverage our key strengths. We must make Leonardo work as one company, leveraging cross-divisional technologies, with a new approach to support best-in-class innovation. Approximately 12 percent of revenues will be invested in R&D in 2018, 95 percent of which will be dedicated to product development to help us better meet customer needs. We are also performing continuous portfolio management and assessment: in some cases, we are ending products and product lines, and leaving segments which are not profitable enough. This enables us to concentrate our resources on the most promising areas, those that guarantee long-term business sustainability. What are the strategies outlined in your recent industrial plan to increase operational efficiency and cash generation? Leonardo is carrying out an integrated cost transformation program as part of our 2018–2022 industrial plan. This targets full exploitation of inter-company synergies and aims to drive widespread understanding of where spending can be reduced, in terms of both external and labor costs. Cost transformation initiatives are currently under way in areas including direct procurement costs, engineering, production, logistics and overheads. Investing in sustainable growth and the latest technologies is a key target. We foresee making selected, market- driven investments, at a level 150–200 million times higher than our 2015–2016 average. These will allow us, on the one hand, to increase our emphasis on key technologies and products for long-term sustainability, while making short-term investments, such as around digital transformation, for the full deployment ofthe One Company vision. Implementing the latest technologies, such as the IoT and Big Data analytics, is a fundamental part of Leonardo’s activity, as I have already said. We are operating at the leading edge of innovation across multiple areas, from the space sector to unmanned vehicles, for civil, dual and defense applications, including Earth observation and monitoring of critical infrastructure. What is Leonardo going to do to anticipate changing market needs and avoid a passive strategy? We are surely not passive at all – quite the contrary! We aren’t sitting idle, waiting until a potential customer knocks on our door asking for a specific solution to meet its requirements. Instead, we do our own internally funded research, and are constantly assessing which technologies are most promising and need to be exploited in order to ideally position Leonardo to meet future requirements. We are frequently proposing new technologies and applications to potential customers, before they start thinking about them or their possible uses. This process can uncover new requirements and needs. But it is obvious that, in many cases, we cannot develop these technologies without government investment. This is different to civil aerospace, in which we are very active. In this domain you first have to develop the technology, the product, and the service, and only then will customers eventually come and buy. Cyber-security is gaining more andmore importance, as traditional andnew products require connection withthe external environment and thirdparties. Will cyber-security become arelevant business line for Leonardo? Leonardo is at the forefront of cyber-security, offering sophisticatedintelligence systems and dedicated,real-time network information analysisto police forces, government agenciesand private companies, thanks to oursecurity operations centers in Chieti inItaly and Bristol in the UK. These operate24 hours a day, with teams of cyber-experts. Leonardo’s main projects includethe ongoing NATO Computer IncidentResponse (NCIRC) program, the largestinitiative in the cyber-security field outside he United States, which protects theinformation and ICT infrastructure at morethan 70 NATO sites in different membercountries. How does Leonardo address corporate venture capital initiatives? To what extent do you think this practice could contribute to the innovation cycle? Thanks to our participation in European research programs, Leonardo has developed a solid network of research institutions, universities and SMEs, alongside our own investments in research & development. The company is increasingly oriented towards creating an “ecosystem of innovation”, based on implementation of technological R&D initiatives focused on open innovation, through creation of synergies between universities, research organizations, institutes and SMEs. This strategy aims to build the critical mass necessary to compete in international markets, contributing to the progress of the ninth United Nations Sustainable Development Goal around a multi-annual financial framework. 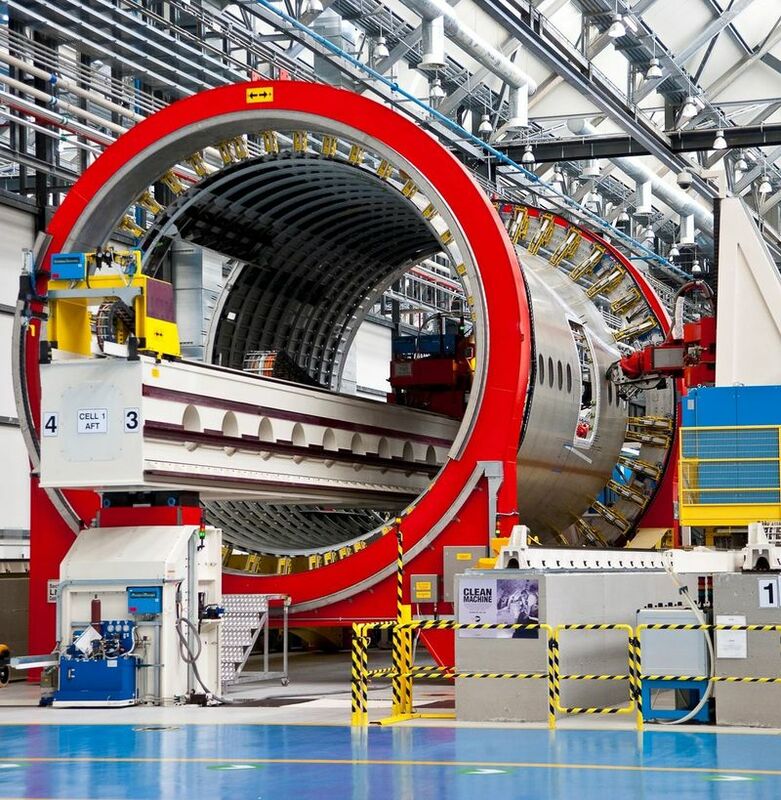 Also, in terms of corporate venture capital, Leonardo is among the prime movers in Italy, contributing to strengthening the AD&S supply chain. In line with the development guidelines expressed in our new Industrial Plan, in 2018 we began work on a CVC fund that could contribute towards implementing our technological roadmap. Leonardo is the largest Italian manufacturing company, measured by revenue, to have launched a CVC fund. Do you plan to treat new embryonic businesses, such as UAVs, through dedicated and vertically integrated entities? What is the Leonardo view on this? We are currently assessing what could be the most efficient and effective organizational structure for the “unmanned” sector. This technology has ramifications in the air, on the ground, above and below the sea, and even in space. We are ascertaining how to best manage this area, in which Leonardo has significant experience and capabilities. The idea is to cross-leverage capabilities and technologies that are spread between several divisions, but that could probably be better coordinated and exploited. And we also understand that, in some cases, we should allow businesses a degree of independence and autonomy: this is what we did when we acquired full control of Sistemi Dinamici, a small company which develops and builds unmanned rotary air vehicles. Another example is in the cyber domain, for which we want to concentrate our activities under a single roof to allow the division to cope with a faster technology-to-product-to-market cycle. Is the recently implemented “One Company” organization model flexible enough to cope with Leonardo’s different businesses and customer needs? What are the benefits you expect on the commercial side, and on the operational one? The “One Company” model allows us to take advantage of synergies while, at the same time, preserving specific features of divisional businesses. Through this framework, Leonardo set up a “single and decentralized” model based on divisions and support functions. Divisions are the basic elements in this organization, and are in charge of the main businesses. The “One Company” organizational model also sees harmonization of business support activities to ensure more uniformity through single rules and processes and, at the same time, better and more accountable control over the single businesses. This allows divisional management to better focus on business core processes. The model facilitates a united approach to customers at group level through the “one voice” logic, based on well-defined and separate roles under the coordination of the corporate center. What are, in your opinion, the skills and competencies that will be key in the near future? How do you plan to attract, develop and retain talent and skills? As set out in our New Leadership Framework, Leonardo has recently introduced focus on skills and competencies, in order to combine technical capabilities, values and behaviors. In this framework, technical knowledge of products and processes is relevant, and involves working together with a distinctive managerial style that ensures sustainable growth in the medium and long term. The global aim of our training and learning activities is to successfully face the challenges of a fast-changing business environment. This is why the key skill we expect from employees, now and in the future, is life- long learning agility. In conclusion, in an era of increasing automation, do you feel that the human factor will remain relevant in the future? Digitization is impacting, and will continue to impact, our organization in many ways, and its effects relate to our products and services both directly and indirectly. Digitization is changing the way employees live and act within the organization, such as through more connections, more agility, wider access to information, and more efficient processes. These can all be enabled by new technologies and new ICT paradigms. This implies a new way of innovating, which involves reducing inefficiency to remain competitive. For these reasons the human factor needs to be encouraged, in order to meet the needs I mentioned before. Firstly, we need the entire company to undergo a cultural shift to meet our new organizational paradigms, with training to ensure a minimum level of relevant skills. Secondly, we are looking to drive vertical cultural enrichment for professionals and middle management working on products and service design and implementation, as well as an upskilling process which will enable us to pursue excellence. Leonardo is a global high-tech company and one of the key players in aerospace, defense and security, highly diversified in five divisions: helicopters, aircraft, aerostructures, electronics and cyber security, plus joint-venture activities in the space sector. Headquartered in Italy, Leonardo is a global company with more than 45,000 employees, and has several strategic partnerships in high-potential international markets. In 2017, Leonardo achieved a turnover of €11.5 billion, with EBITA of €1 billion. The company’s actual order backlog is around €33 billion, equivalent to nearly three years of revenues.